All sorts of interesting projects seem to come my way. 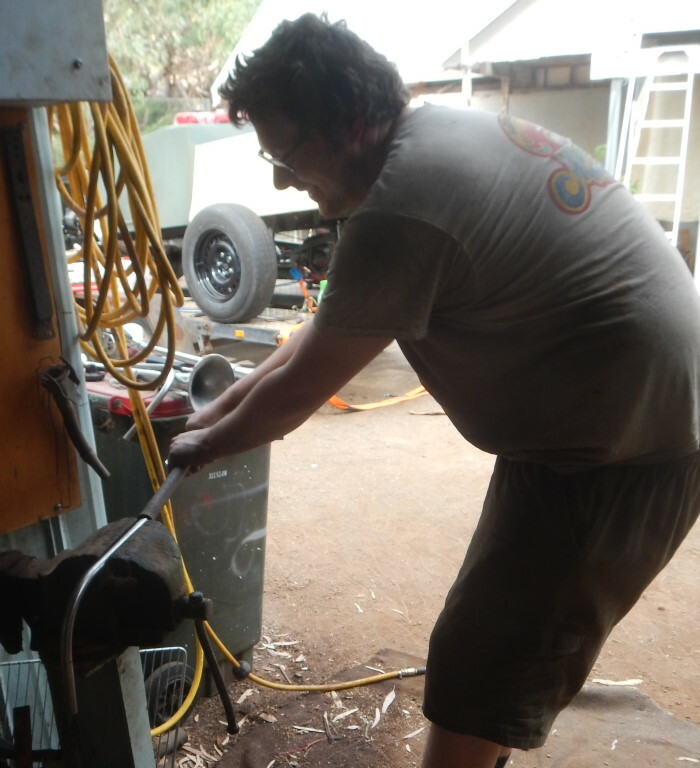 We've customised a caravan as a mobile honey factory, rebuilt tandem trailers, made steel shelving and gates, winery equipment, small items like a mirror so an elderly crippled lady could see the bottoms of her feet and everything in between it seems as well as getting interesting turning and milling jobs. They take second place to the choppers, but keep life varied. 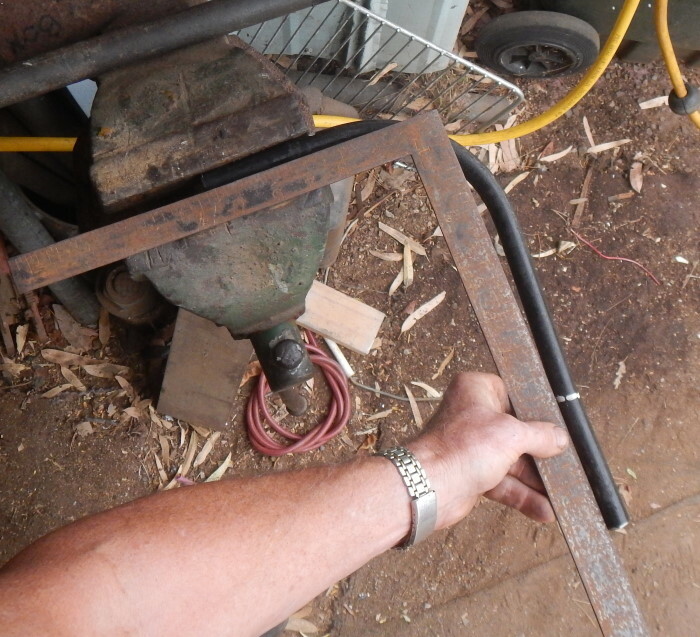 Last weekend, we did a towbar on a ute, Chris's one armed handlebars and helped on a hotrod. 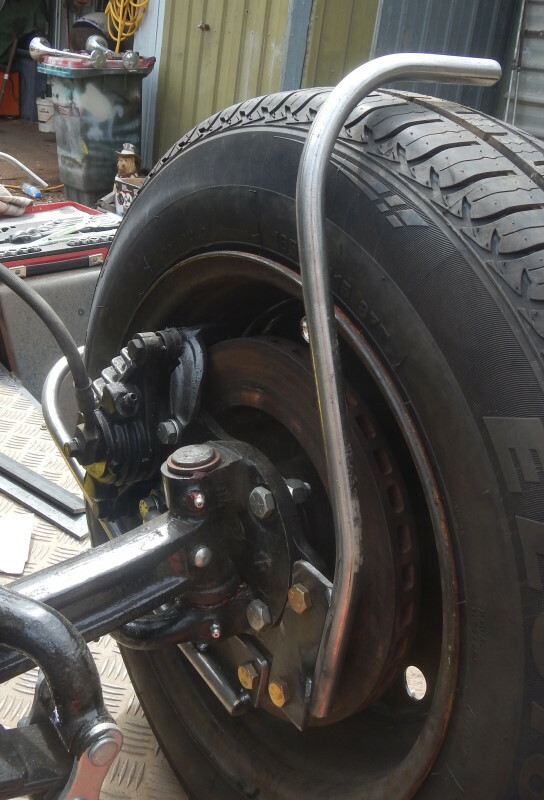 This morning I was visited by an aquaintance from the 70's with his ironhead chopper with a 53 degree rake and 15 or so inches over springer. 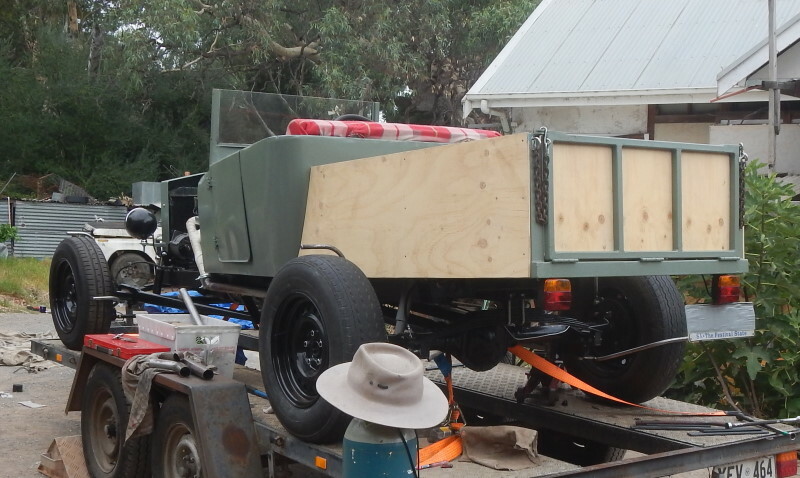 He's just bought it out of a farm shed and it needs lots of work. 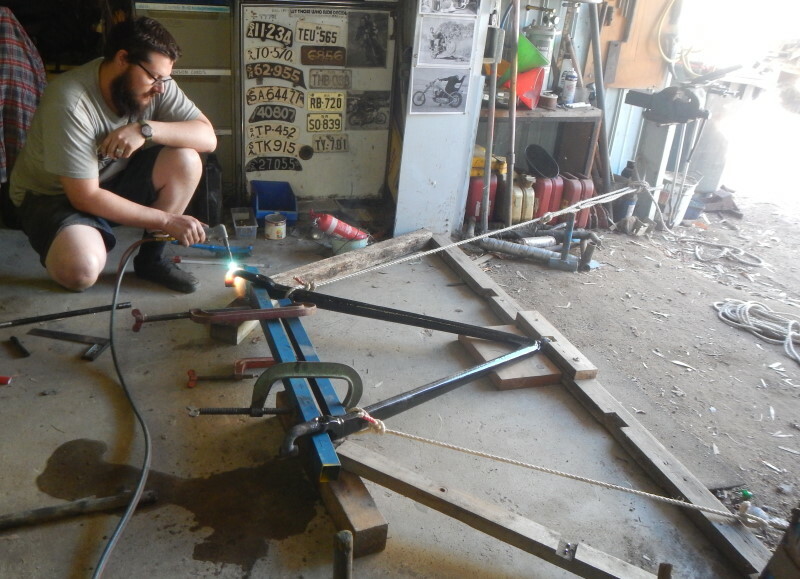 But more specifically, Victor, one of our CA members has been building a little hotrod truck for twelve months doing his machining and some of his welding and fabricating at The Chopper Shed. 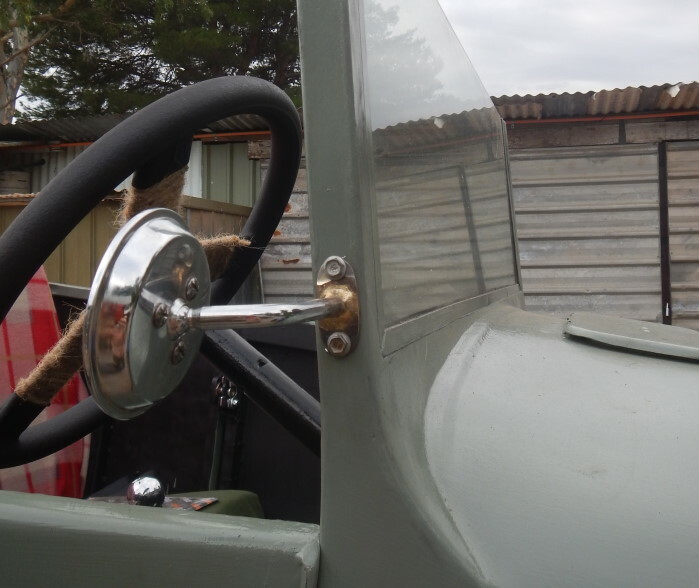 It's patterned on a 29 model T but has modern brakes and a Toyota motor. 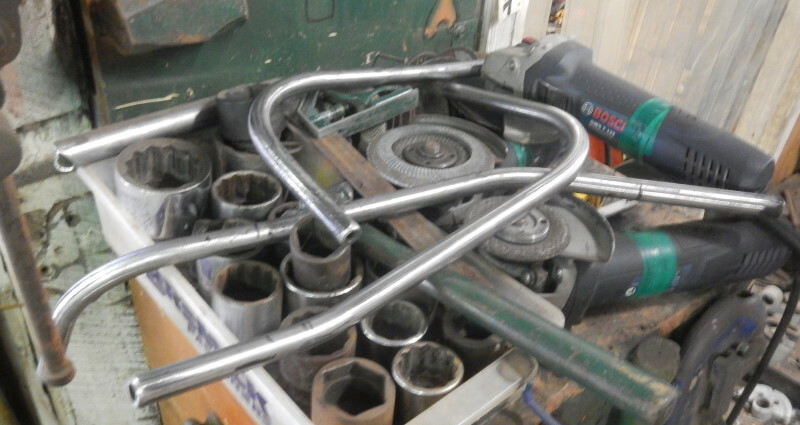 He spent three days up here finishing up his final jobs before regio; swaging handbrake cables with my hydraulic swager using yacht ends, some home made ends and Harley clutch cable components and other bits and pieces. 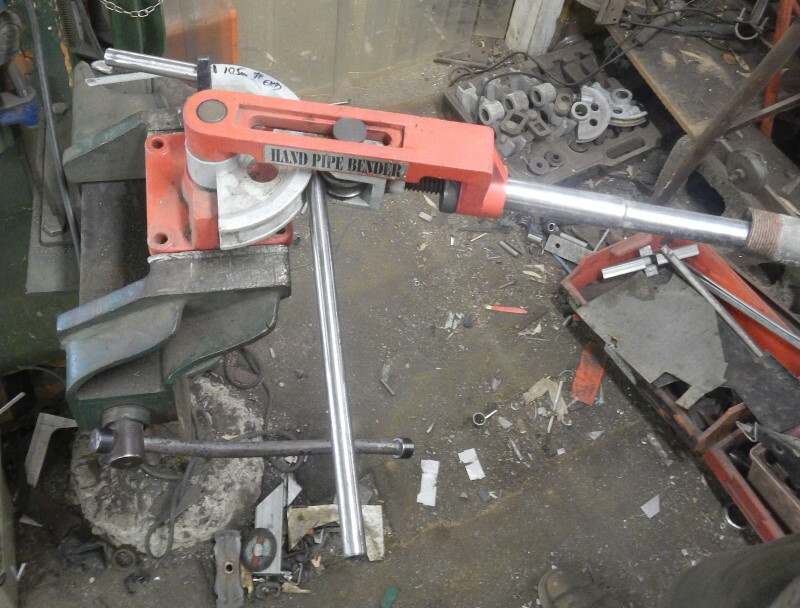 1.6mm galv is used for the guards (real minimalist) and we will cut it on an engineering friend's humungus hydraulic metal shears. 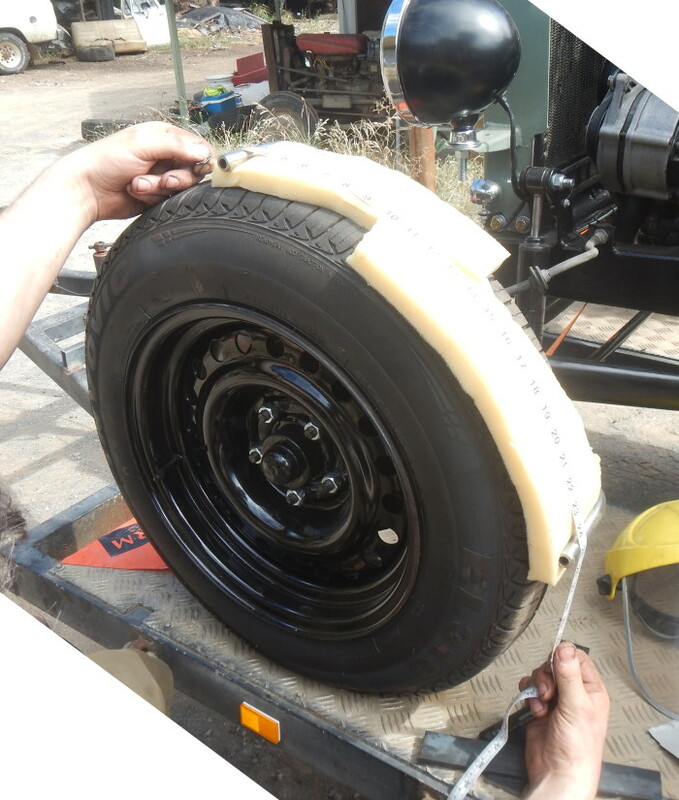 To measure the length of each guard, I lay some 1" foam over the tyre so Victor can lay a dressmakers tape over it and get an accurate measurement. 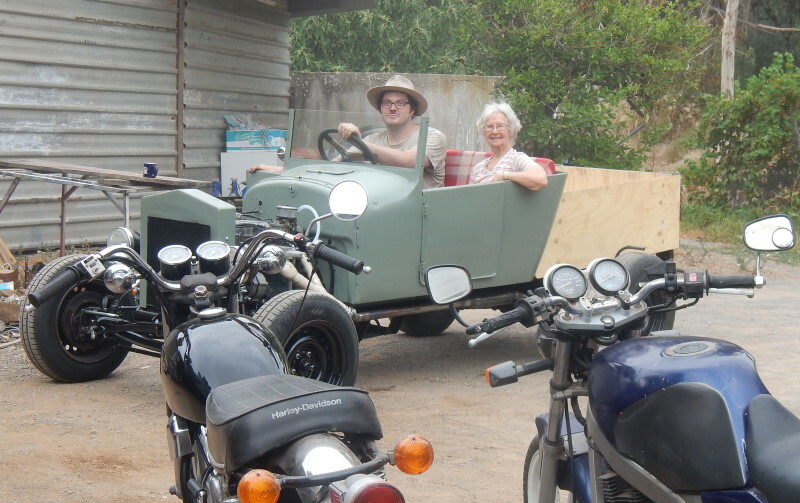 We all got a ride around the paddock, including 86yo Ma. She is very active in a variety of help organisations. Drove my lad's recently purchased F250 the other day! Dad was a 6 day a week businessman, so when we bought a new car (quite often) she would be the one to go to Adelaide to pick it up. She recalls driving our new Peugeot 404 out of Champions garage down a rough cobbled lane so narrow that the mirror almost scraped the brick walls... guess the lane was made for buggies not 1970's vehicles.. 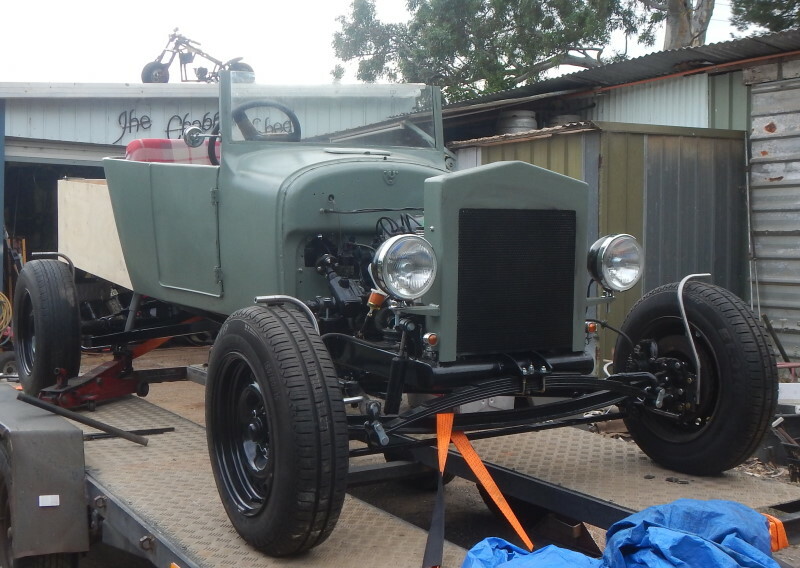 So you'll probably see the 29 Ford hotrod truck at some of our rides, so keep your eyes open, you won't miss it.